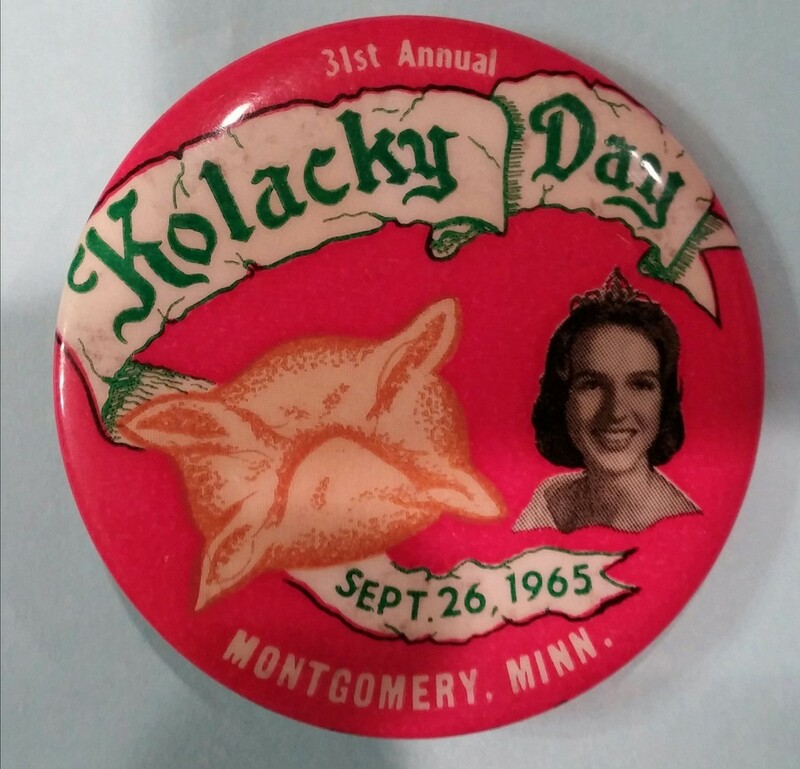 8mm movies of the Kolacky Day Parade in Montgomery, Minnesota about 1952 were taken by Herbert L. Younker, longtime resident of Rice County until his death in 1978. His nephew Dennis C. Henry has been maintaining and editing the Younker film collection since the mid-1970s. 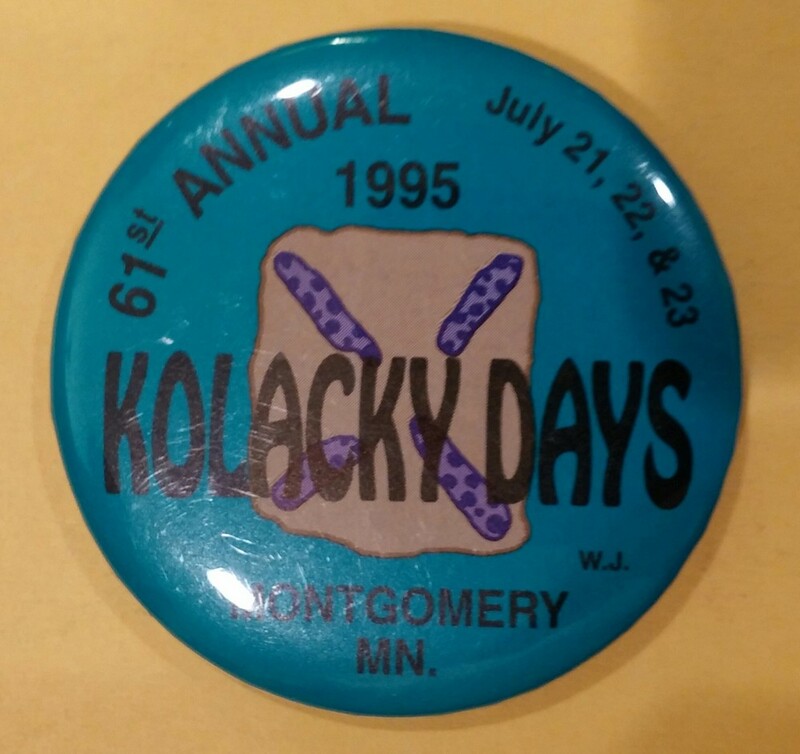 For most Montgomery-area residents, the kolacky is a well-known treat. Others, however, might wonder about the locally-famous pastry. A kolacky is a small dinner roll-like pastry which is folded, enclosing filling in the center. The most common fillings include prune, poppyseed, apricot, apple, blueberry and raspberry. 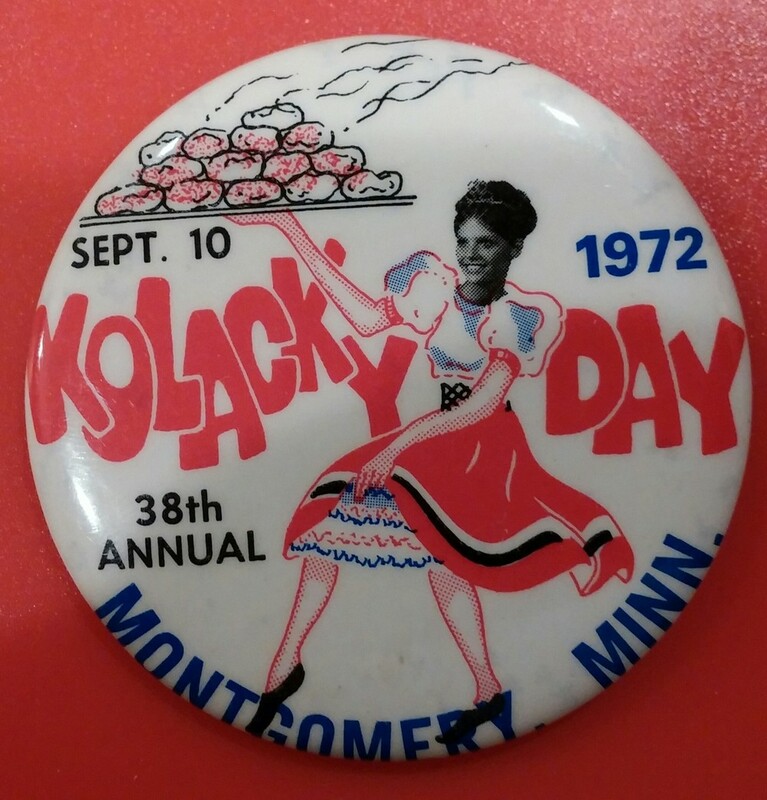 According to Butch Franke, the late owner of Franke's Bakery in Montgomery, both open-faced and closed-face kolackys were made in Czechoslovakia. Franke said the closed kolacky came into being because the fruit in the open-faced buns would get all over the working man's lunch bucket. The men had their wives fold over the pastry so it wouldn't mess up the other things in the lunch bucket. 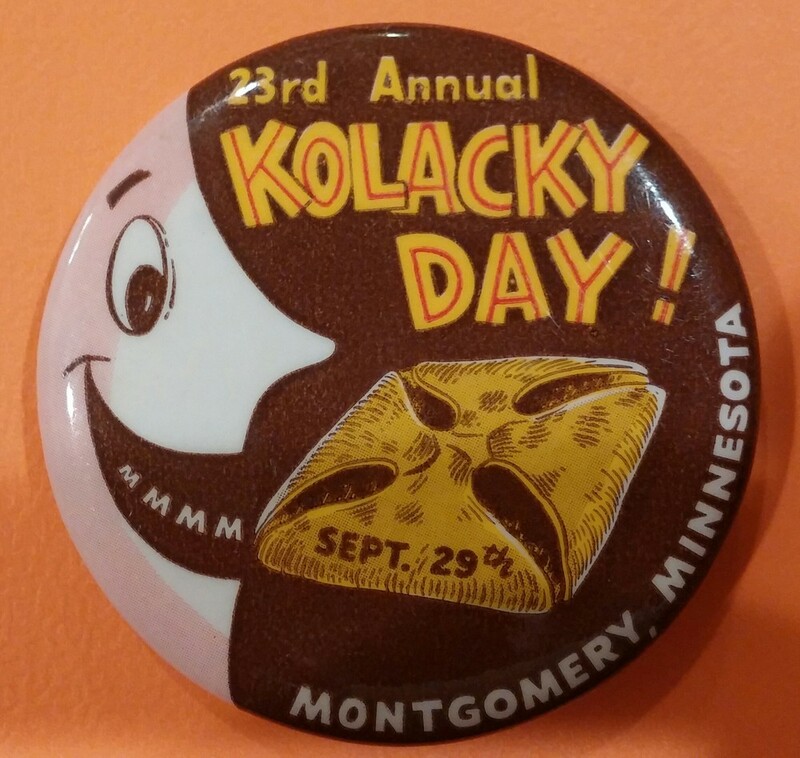 The festival dates back to 1929, when an estimated 6,000 people visited Montgomery for the first Kolacky Day celebration, held Tuesday, October, 1, 1929. 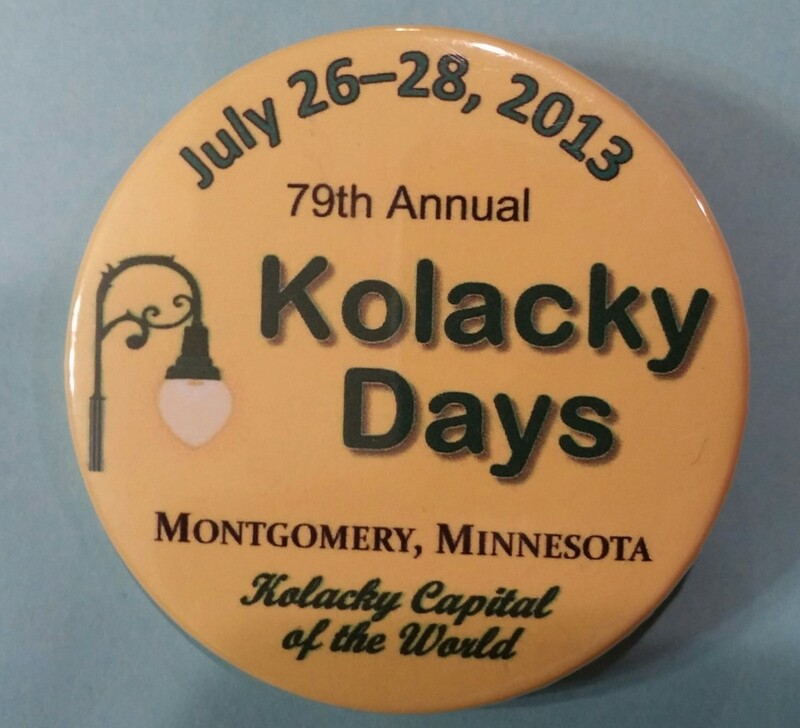 "The Kolacky Day spirit reigned supreme from early Tuesday morning until a comparatively late hour Wednesday morning. More than 1,600 of the celebrated delicacies were devoured," according to a Montgomery Messenger account from the following week. 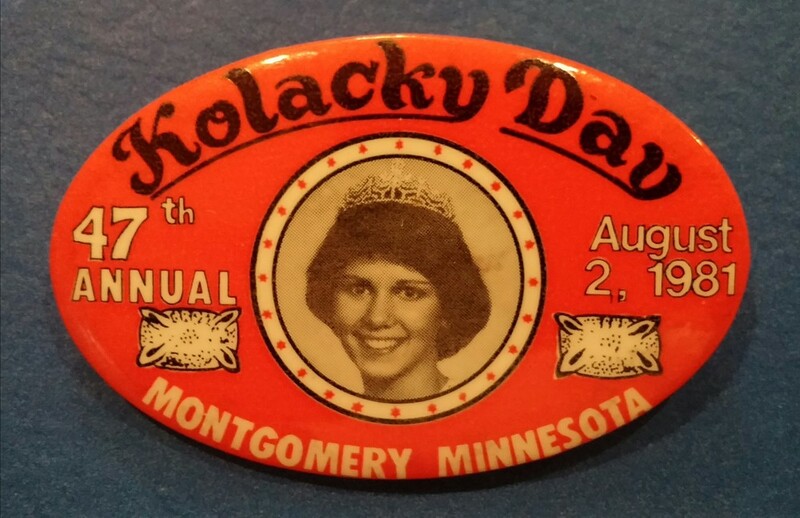 Events at the first celebration included a trap shooting tournament, a parade, sports and races and a football game between Montgomery and Le Sueur Center (now Le Center). In 1931 Miss Leatta Ehmke, (Mrs. Joe Trnka) was crowned the first Kolacky Queen by Mayor Henry Westerman. Her attendants were Ella Krocak, Sylvia Zelenka, Anna Zelenka and Berniece Malone. 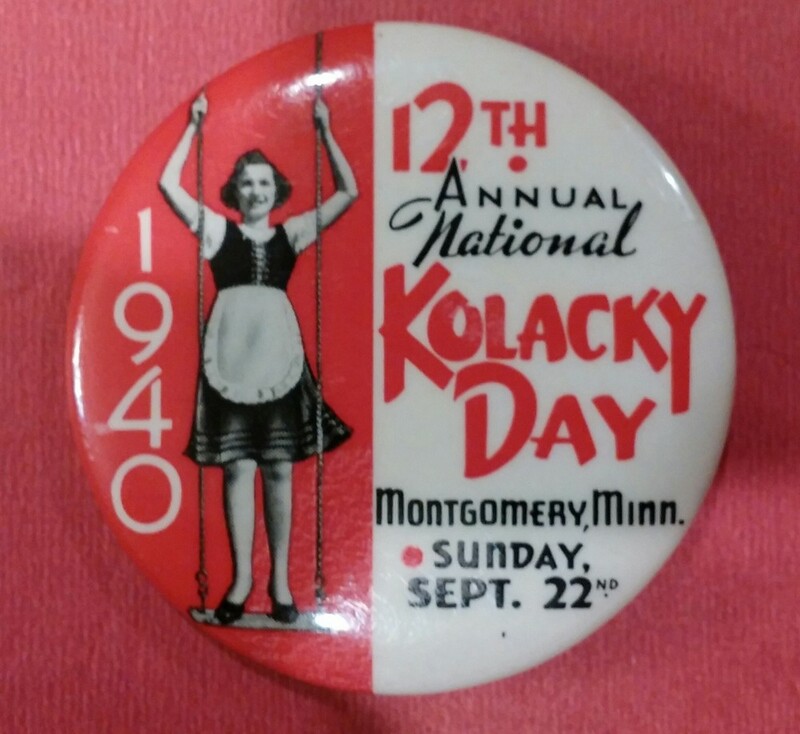 For the September 30, 1934, celebration a novel button, sold by the Kolacky girls, was devised. 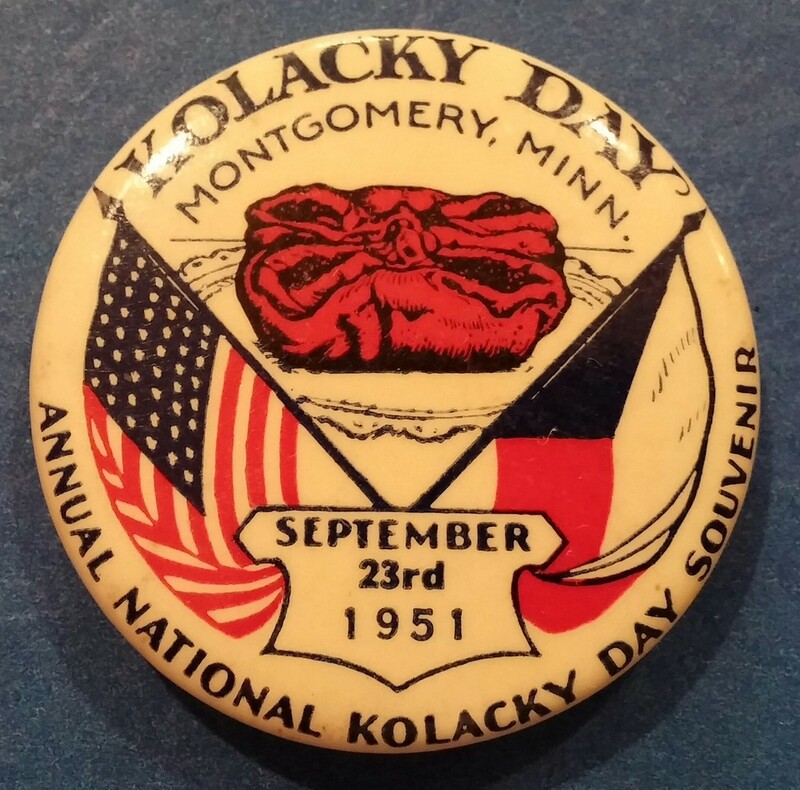 Following the attack on Pearl Harbor on December 7, 1941, Kolacky Day retreated to the background until the Montgomery Community Club decided to revive the celebration in 1948. 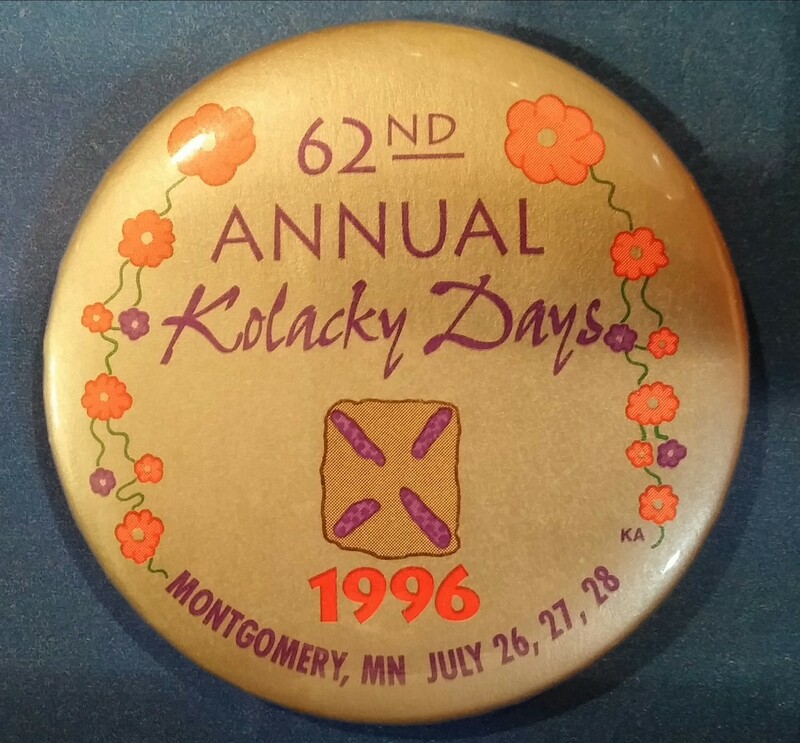 Kolacky Day officially became a summer festival in 1966 when the traditional date, the last Sunday in September, was dropped in favor of the first weekend in August. The earlier date and warmer weather brought huge crowds to the festival. 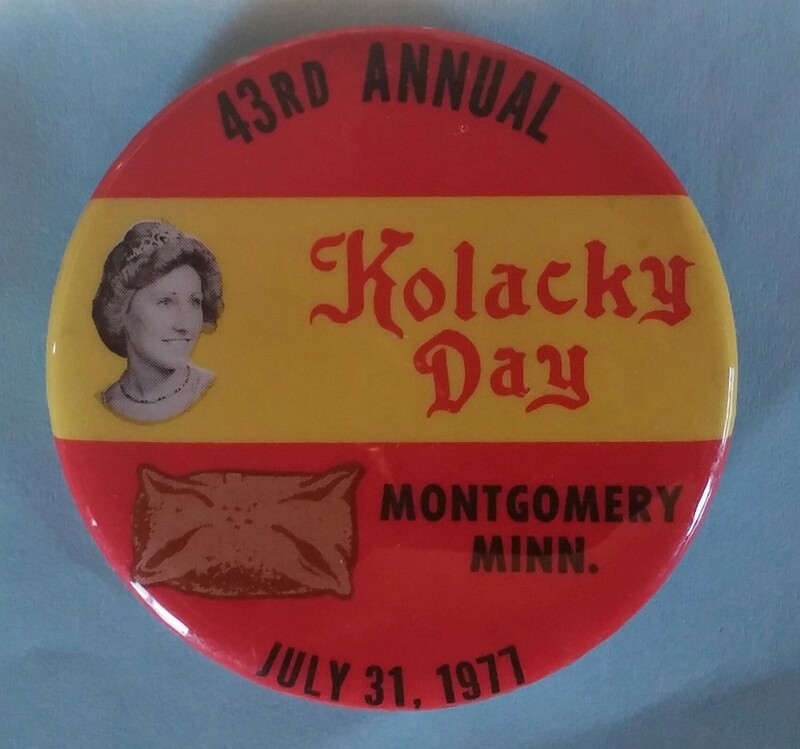 In 1975, Kolacky Day became Kolacky Days and the event was held for the first time at the end of July. The move to July was done at the urging of the Green Giant vegetable canning company in order to avoid conflict with the busy corn processing season. 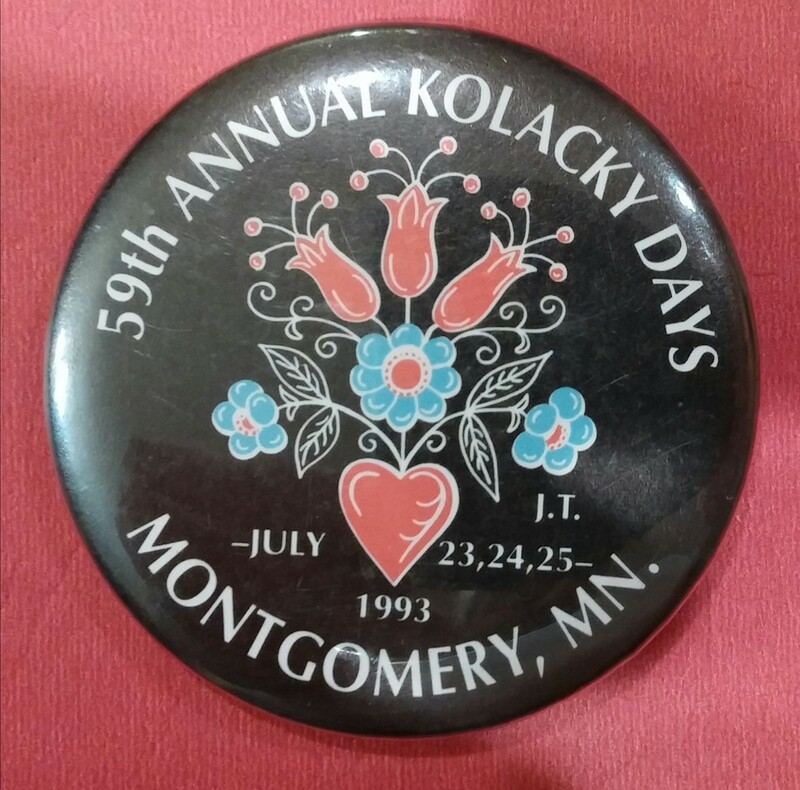 "The term 'Kolacky Day' may not mean much to people at a distance who are not familiar with the name, but if they ever attended of our celebrations and filled up on that famous Bohemian delicacy they will join the pilgrimage to this city each year hereafter." 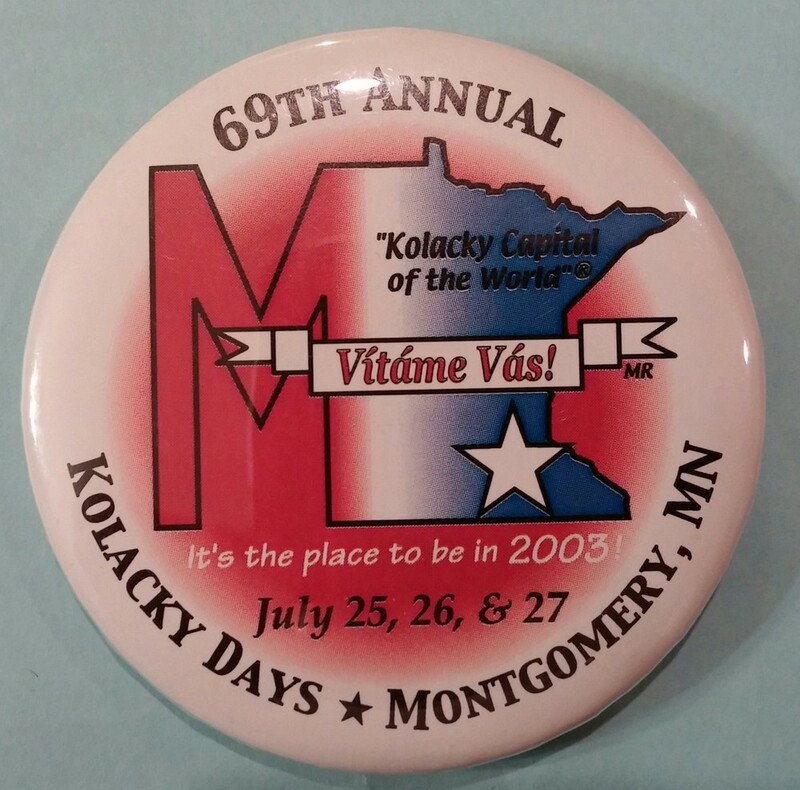 Peter Keohen is given credit for giving the festival Kolacky Days its name. 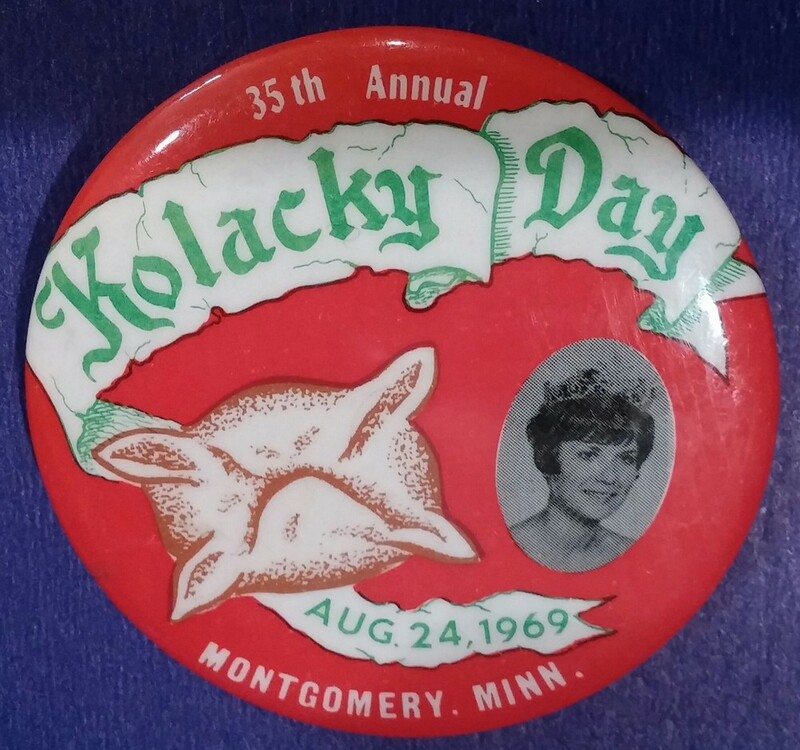 Every spring since 1958, the MACC announces they are seeking nominations for the Kolacky Days Grand Marshal. These individuals have played a significant role in the development and success of the Montgomery Area. Congratulations to all our Grand Marshals! 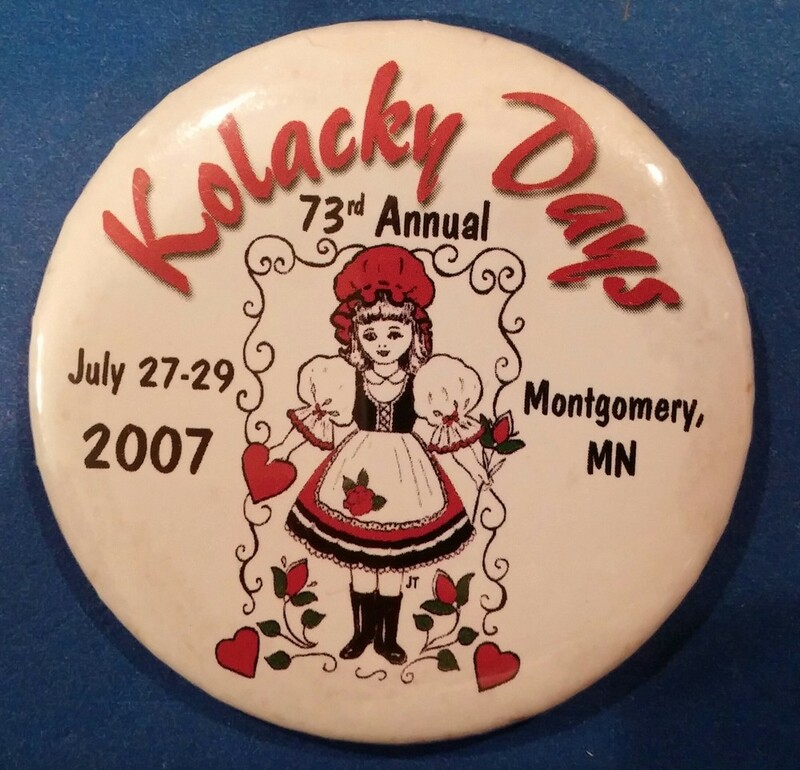 Since 1934, the Kolacky Days Button has been a mainstay. 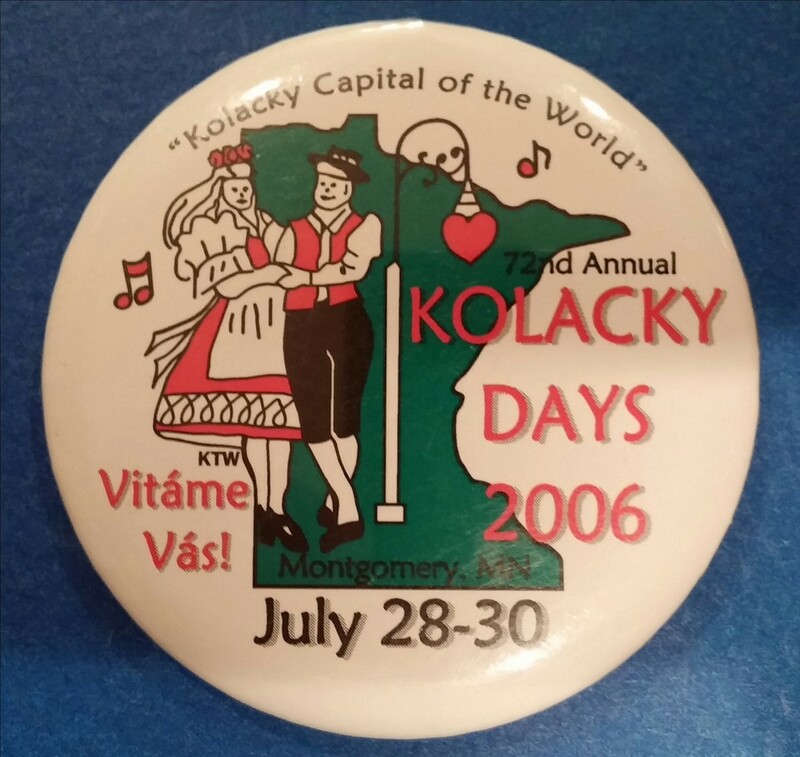 Czech out how the collectible button has changed throughout the years!